Bend it like Bluemix, MongoDB using Auto-scale – Part 1! 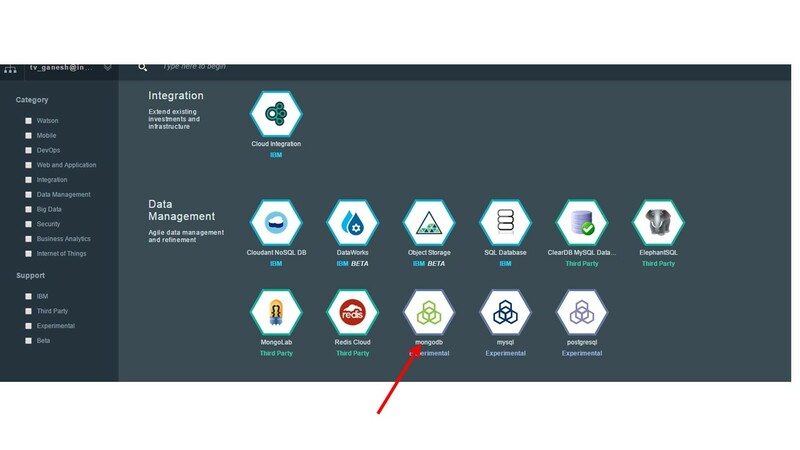 In the next series of posts I turn on the heat on my cloud deployment in IBM Bluemix and check out the elastic nature of this PaaS offering. Handling traffic load and elastically expanding and contracting is what the cloud does best. This is where the ‘rubber really meets the road”. In this series of posts I generate the traffic load using Multi –Mechanize a performance test framework created by Corey Goldberg. 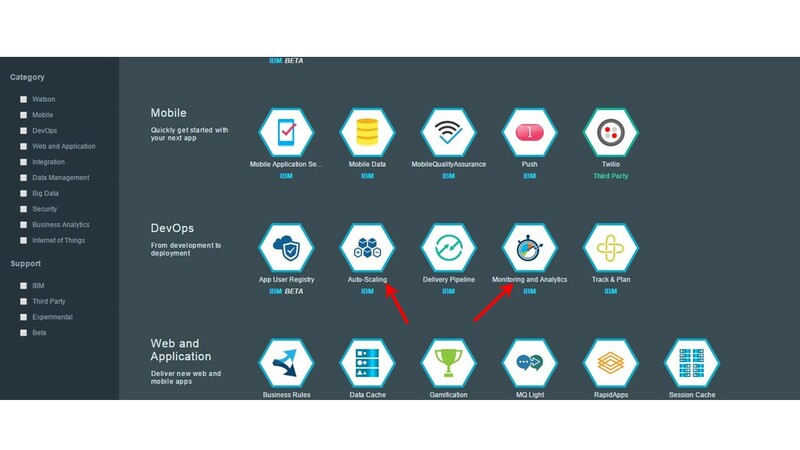 This post is based on an earlier cloud app that I created on Bluemix namely Spicing up a IBM Bluemix Cloud app with MongoDB and NodeExpress. I had to make changes to this code to iron out issues while handling concurrent inserts, displays and deletes issued from the multi-mechanize tool and also to manage the asynchronous nightmare of Nodejs. 1. To get started, fork the code from Devops at bluemixMongo. Then change the host name in manifest.yml to something unique and click the Build and Deploy button on the top right in the page. 2. Now add the MongoDB service and click ‘OK’ to restage the server. 3. Add the Monitoring and Analytics (M & A) and also the Auto-scaling service. The M& A gives a good report on the Availability, Performance logging, and also provides Logging Analysis. The Auto-scaling service is the service that allows the app to expand elastically to changing traffic loads. 5. 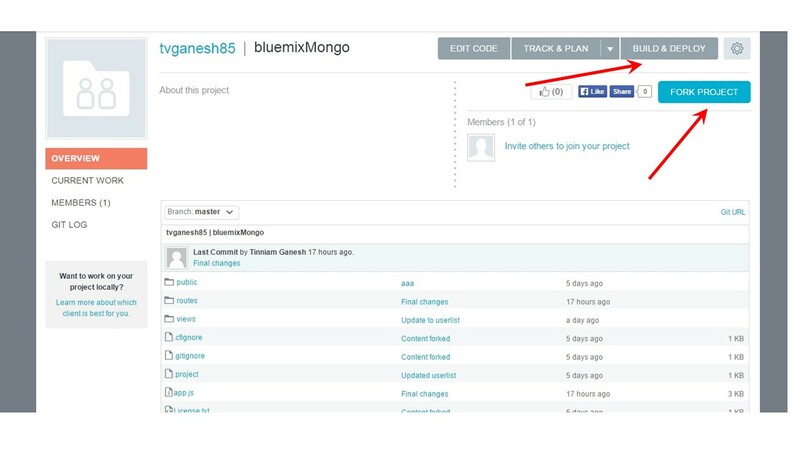 You should now be able click the bluemixMongo.mybluemix.net and check the application out. 8. Change the Memory Quota as appropriate. In my case I have kept the memory quota as 128 MB. Note the available memory is 640 MB and hence allows up to 5 instances. (By the way it is also possible to set any other value like 100 MB). 10. Next you need to set up the Performance test tool – Multi mechanize. Multi-mechanize creates concurrent threads to generate the load on a Web site or service. It is based on Python which makes it easy to modify the scripts for hitting a website, making a REST call or submitting a form. To setup Multi-mechanize you also need additional packages like numpy matplotlib etc as the tool generates traffic based on a user provided script, measures latency and throughput besides also generating graphs for these. In the next post I will run a traffic test on the bluemixMongo application using Multi-mechanize and observe how the cloud app responds to the load. Bend it like Bluemix, MongoDB with autoscaling – Part 2! Previous Post Where is the Cloud Computing bus going? Next Post Bend it like Bluemix, MongoDB using Auto-scaling – Part 2! Reblogged this on Patrick Bouillaud Blog.